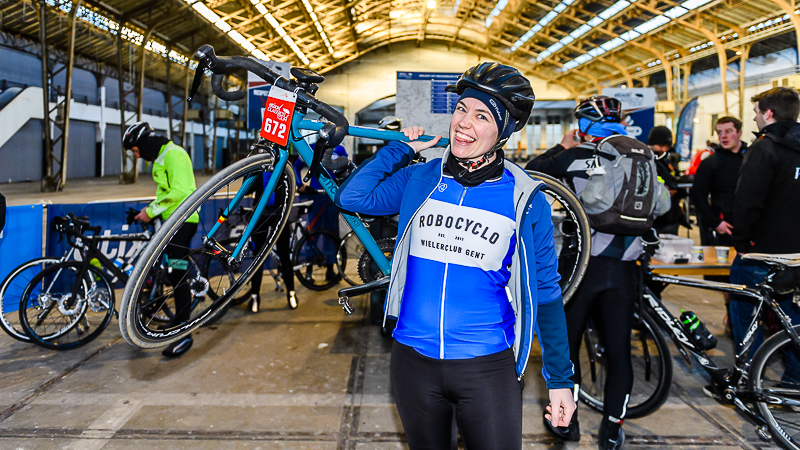 Are you looking forward to cycling away those winter blues again? 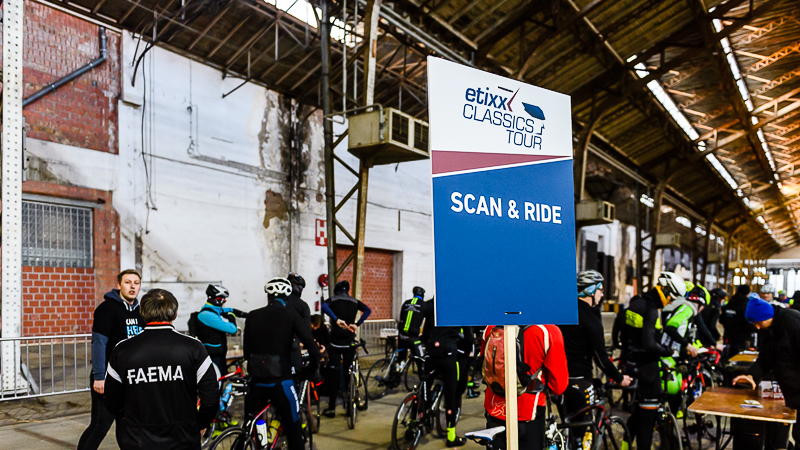 If so, be sure to register for Omloop Het Nieuwsblad Cyclo of the Etixx Classics Tour, the opening race of our cycling season! You'll brave the same climbs and toil over the same cobblestones a day after Greg Van Avermaet and his team did. 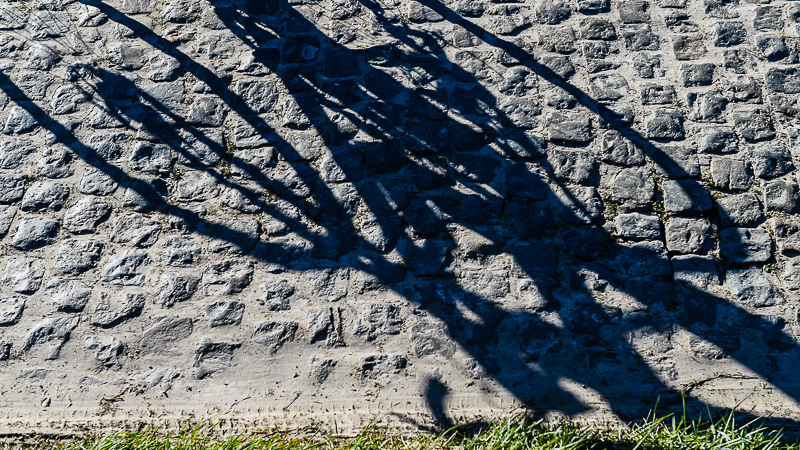 From the Haaghoek cobblestones to the Muur van Geraardsbergen and the Bosberg, you'll experience the final stretch of this annual opening classic to the fullest. 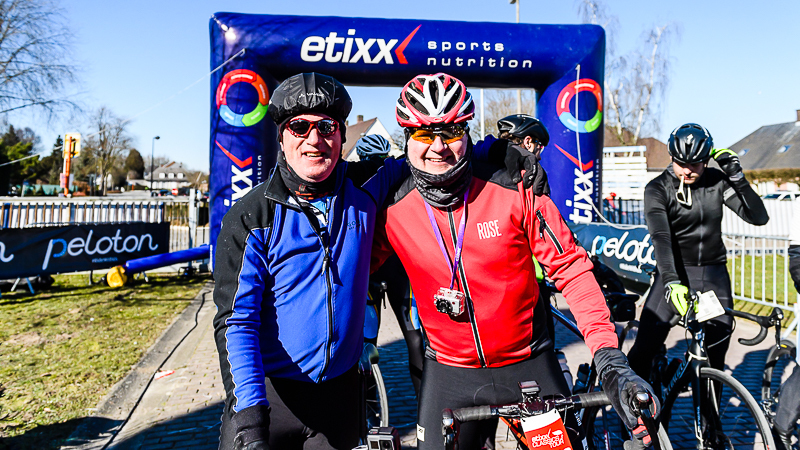 Be sure to mark Sunday 3 March on your calendar, so you don't miss your chance at this historic route through the Flemish Ardennes. You have a choice of 3 distances: 130, 90 or 65 km. 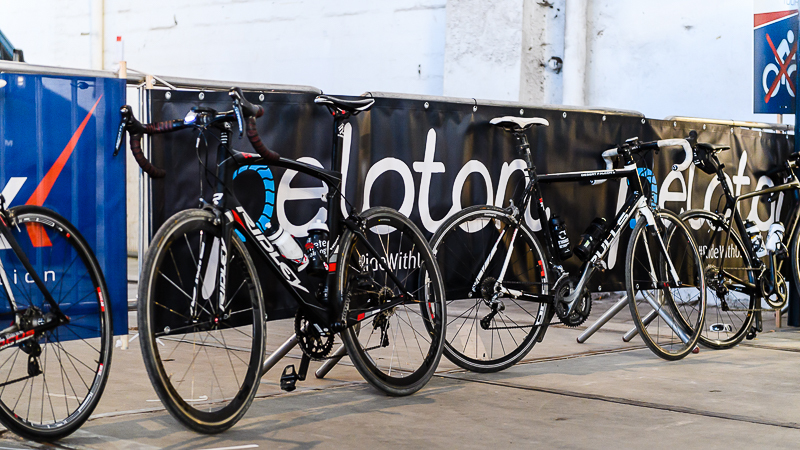 If you opt for the longest distance, you will depart from 't Kuipke in Ghent and finish in Ninove, just like the pros. 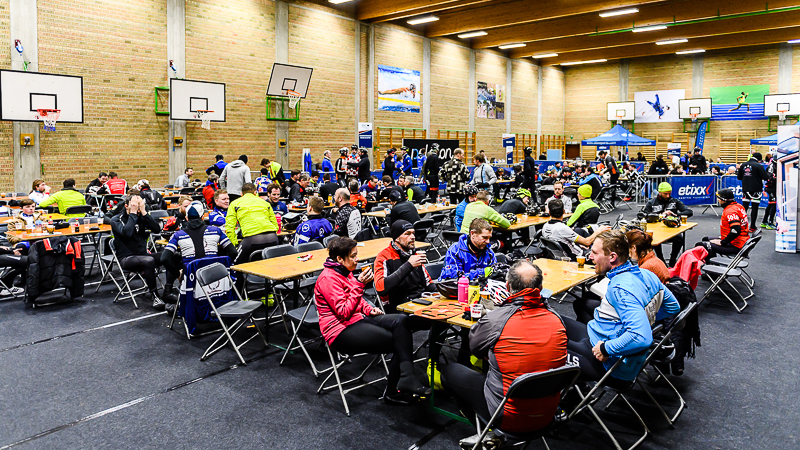 The other distances depart from Ninove to finish there as well. SPORTOGRAF.COM is the official photo service of the Omloop Het Nieuwsblad. These photographers have acquired a good reputation in recent years with their fully digital service and competitive prizes. 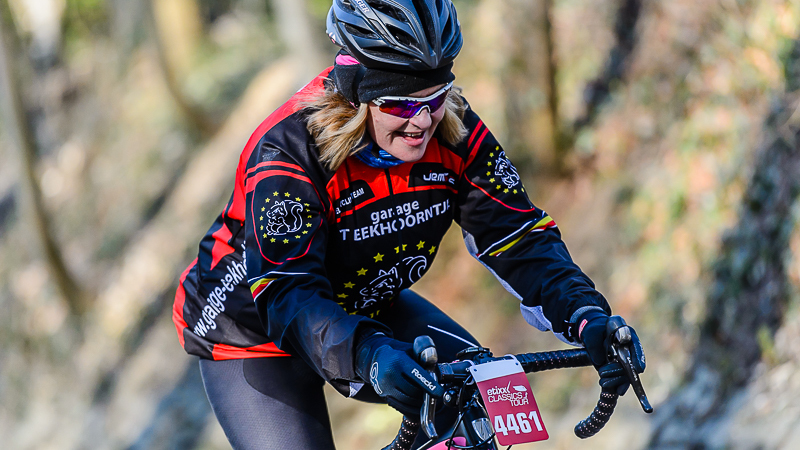 Do you love the legendary climbs and cobblestone sections of the Flemish Ardennes? 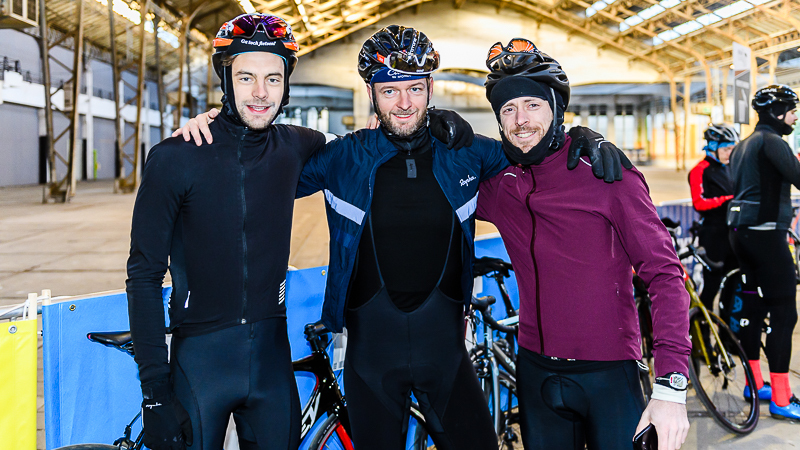 And are you itching for the new cycling season to begin? Then the Omloop Het Nieuwsblad Cyclo is definitely for you. During this 130-km route, you'll brave ten climbs and five cobblestone stretches. 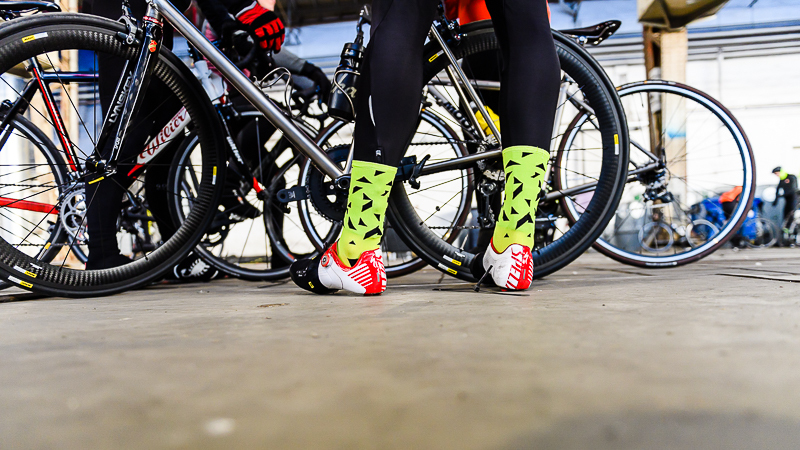 Your challenges will include the Molenberg, the Muur van Geraardsbergen and the Bosberg. 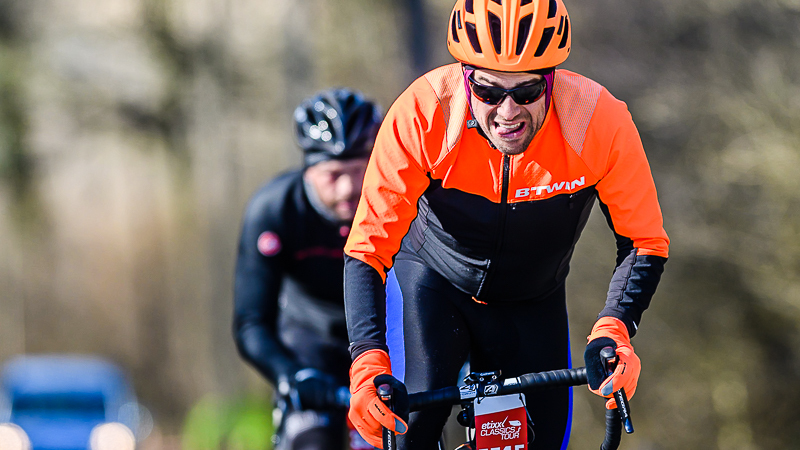 In between, you'll clatter over the cobblestones of the Jagerij, the Haaghoek and more, climbing over 1000 metres and conquering almost 12 km of cobblestones! The finish of both the professional race and the cyclo is no longer in Meerbeke, but in the centre of Ninove, close to the finish line. 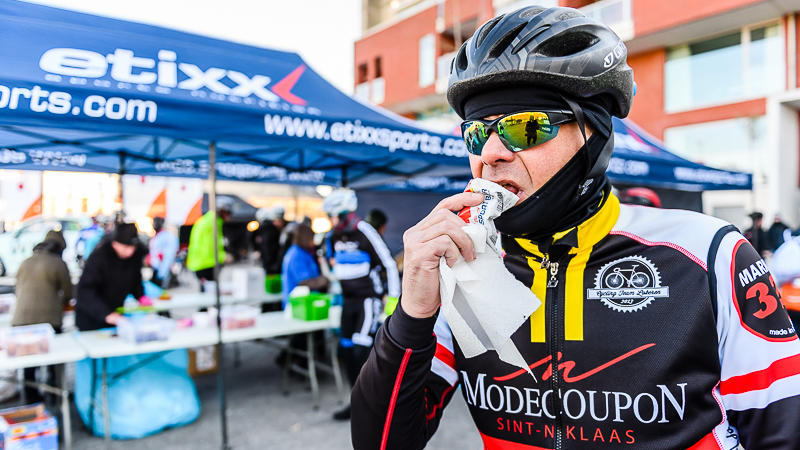 So, upon arrival in Ninove, the finish of the opening classic will not hold any secrets for you. Would you prefer a calmer start to the season? 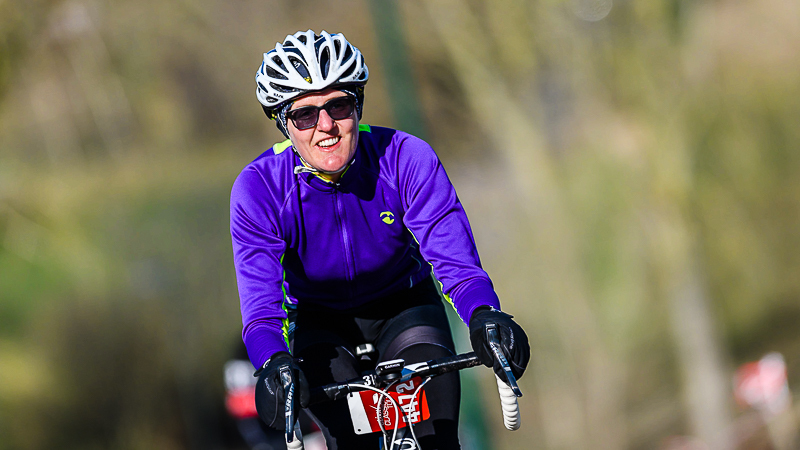 No problem; head for Ninove and opt for a shorter distance of either 65 or 90 km. The 65-km circuit is limited to the actual final stretch of the professional Omloop Het Nieuwsblad, with the Valkenberg, Tenbosse and the (in)famous Muur van Geraardsbergen/Bosberg duo. 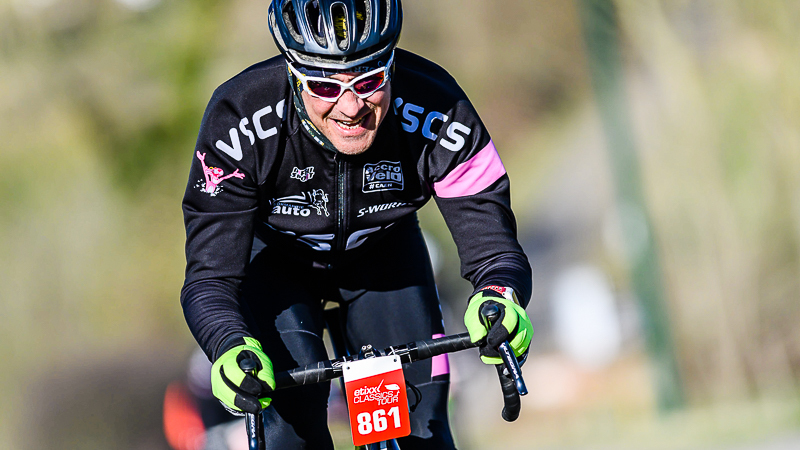 The 90-km route is a little more challenging, including eight climbs and the Haaghoek. Your route will again finish in the centre of Ninove. Fancy a preview of the circuit? 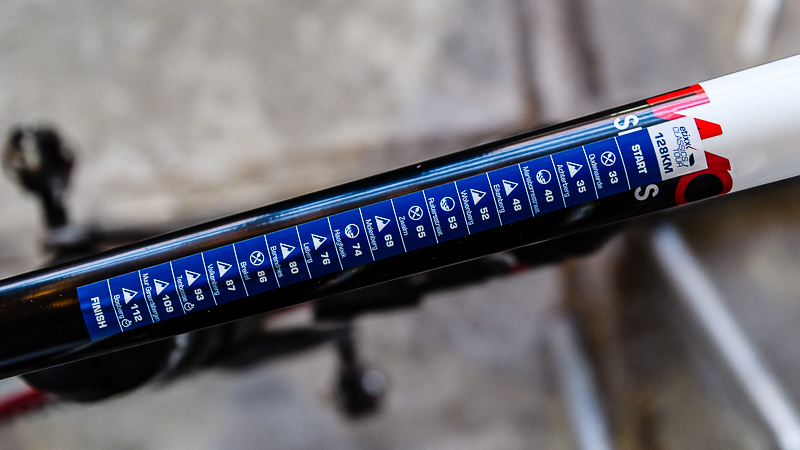 Have a look at the main climbs and cobblestone sections below. The same climbs conquered by the professionals a day earlier now await the cycling tourists. Starting at the famous bridge, a maximum incline of 14.2% and demanding cobblestones take you to the top of the Molenberg. Last year, the Paddestraat was missing from the route. 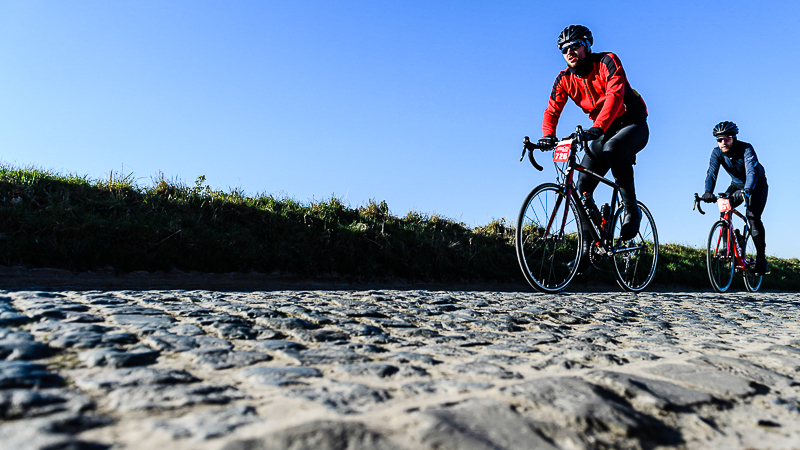 This year we'll award one of the best-known cobblestone stretches of the Flemish Ardennes the attention it deserves again. Once this 2300-metre stretch of cobblestones is behind you, you can start thinking about the second round of provisions. So, keep it together for a little longer in Velzeke (Zottegem). This 1.7 km-long, undulating cobblestone stretch in Sint-Kornelis-Horebeke is one of the key sections in the Omloop Het Nieuwsblad for professionals. 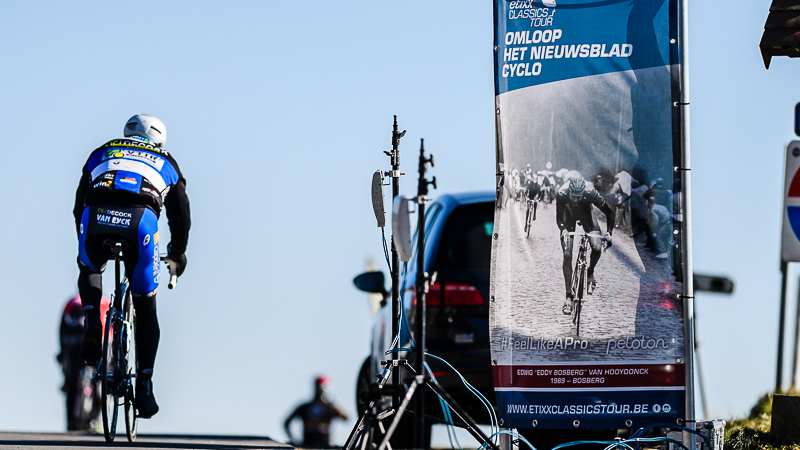 Three runs over Haaghoek sorts the wheat from the chaff in this classic opener to the professional cycling season. Race tourists only do it once. But there is no time for rest. Straight on to the steep and narrow Leberg! This Brakel climb has been a standard feature of the spring classics for many years. 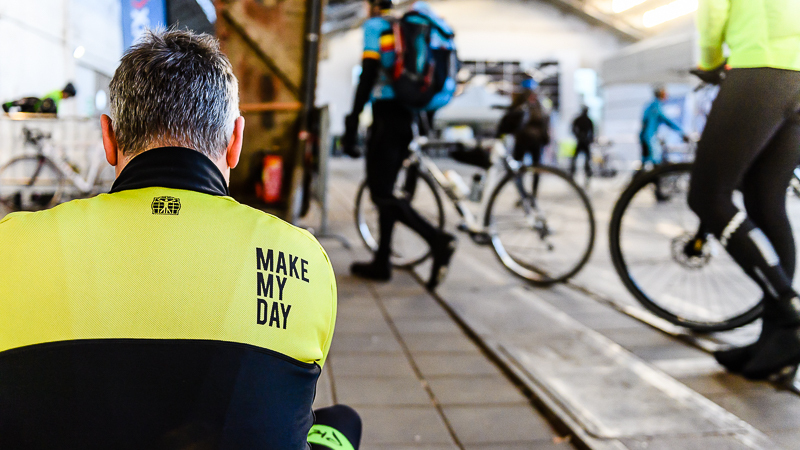 Cycle-mad Flanders knows that there are no cobbles to be found here, but the figures say it all: 940 metres of climbs, with an average incline of 7%, peaking at 12.3%. And after this climb, four more await! With Brakel behind you, and after a quick succession of climbs, the Muur van Geraardsbergen looms large in the distance. 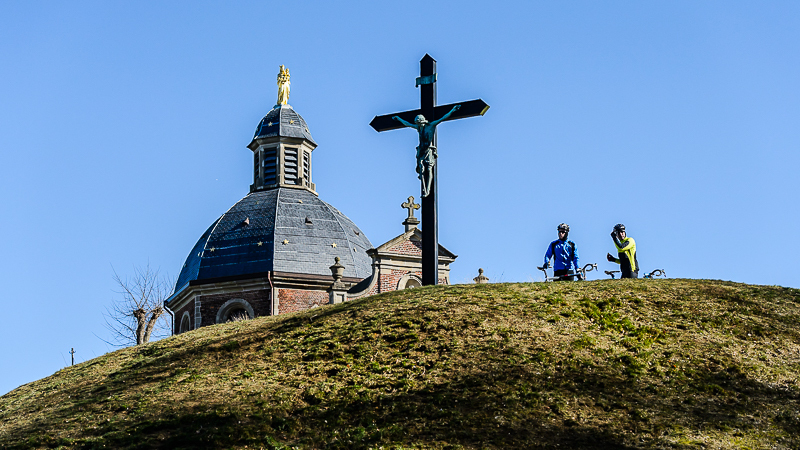 As of last year, the Muur shines in the final stretch of Omloop Het Nieuwsblad as well. 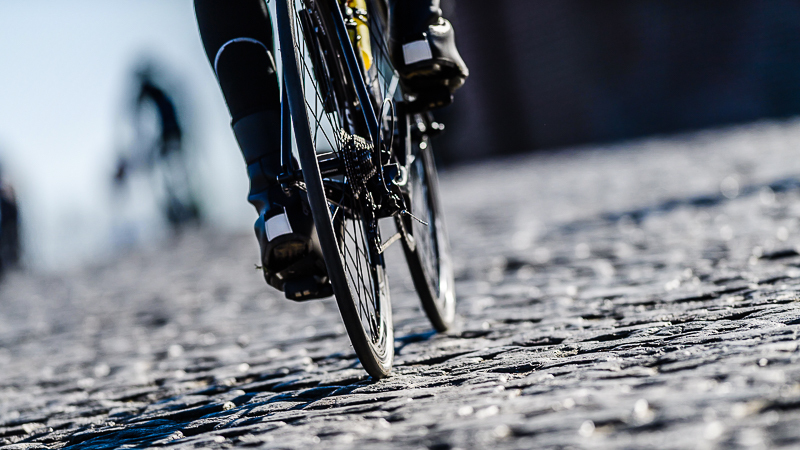 You're confronted by a solid kilometre of cobblestones, with a maximum incline of almost 20%. In other words, the most iconic climb en route to Ninove! Never has that old saying "The last mile is always the longest" been more appropriate than in the Omloop Het Nieuwsblad Cyclo. 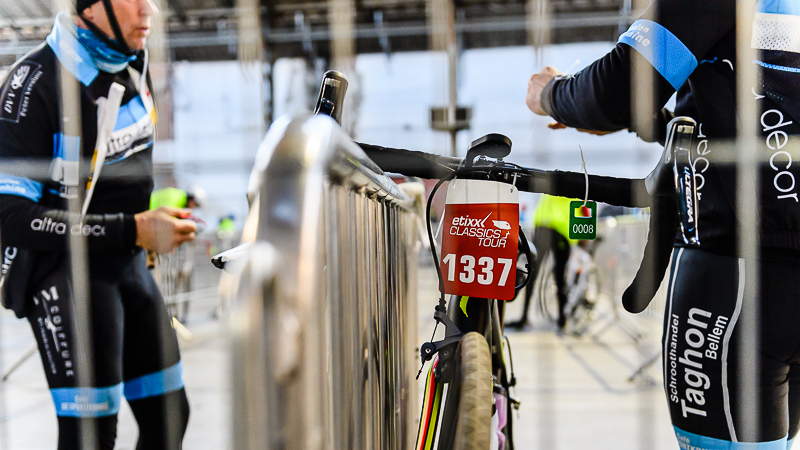 Get this final cobblestone climb behind you and you are rewarded with a straight, shallow descent to the finish. As long as you don't have a headwind! 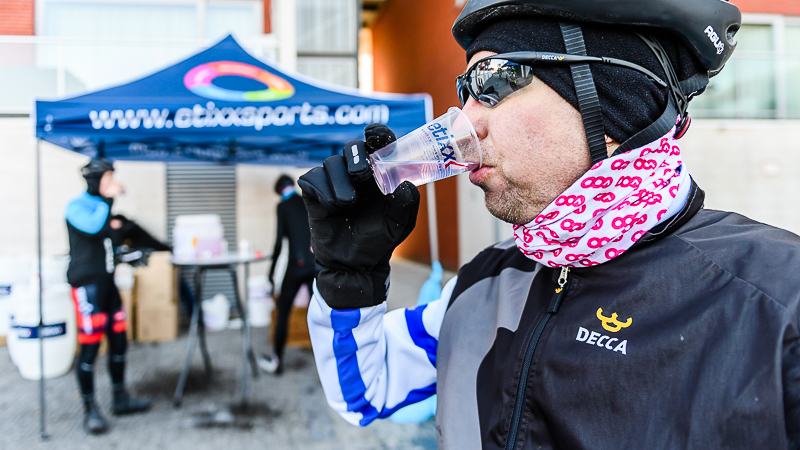 We would like to guide you with this specific and adapted nutritional schedule for the Omloop het Nieuwsblad, with an indication on where the refreshment stations are located. DStop Darmkanker is a non-profit organisation that wishes to convince people that an early detection of colorectal cancer and bowel polyps will decrease the mortality rate by colorectal cancer drastically. Colorectal cancer is a silent killer.